There are in truth quite a few methods to be able to bypass all the blocks that the big media sites like the BBC put up to block access from outside the UK. However the problem is that many of these revolve around software which is fine if you’re using a PC or Mac but not so good for a tablet or phone. Fortunately there are still ways to get these devices to work for instance the following procedure involves setting up a VPN in order to access these blocked sites. In essence the end result is the same as using software, you are simply hiding your real location and supplying the IP address of a VPN server instead. This method is easiest for accessing British TV on an iPad or smart phone for example. Indeed if you set up multiple VPNs it can be used to access content in any other country too. The procedure is quite simple and if you have an account set up with a VPN provider like . , it takes a couple of minutes per connection. The title does sound a bit technical but don’t worry it’s very straight forward and you only have to do it once. You should get to this screen, where you can see I have already set up a US VPN connection which I use from outside the US to watch USA only stuff like Hulu and NBC. Which will take you to the VPN configuration screen which can look a little daunting but is actually fairly straight forward. Leave the top tab set to L2TP and then fill in the following details. These you should get from your VPN provider, if you’re using . , all these details are listed in the members area. Description – Just use any descriptive name, useful to list which country it is. Password – Password for your account. After filling that screen in, then you’re pretty much finished – remember to click save configuration before you exit and that’s it. 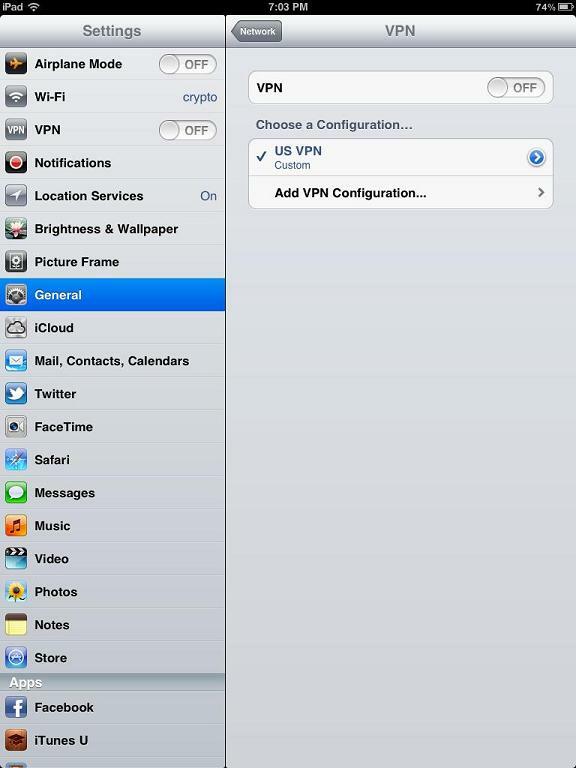 To enable each VPN just select the one you need, then turn the slider above to ON. In my example I have the UK VPN enabled, which means I have a British IP address and I’m able to watch BBC iPlayer, ITV or any other UK only website. Remember when the VPN is enabled all your traffic will be routed through that country. So if you have a UK VPN enabled all your Google results will be UK based, UK version of Amazon, Netflix etc – so make sure you turn it off when finished. The VPN also supplies you with a secure connection so it’s worth enabling it whenever you’re doing something like accessing your email or banking sites especially through Wifi in places like cafes, hotels or airports. Is there a limit on bandwidth or the number of VPNs you can have set? There’s no limit to bandwidth or the number of VPNs you can have set up. 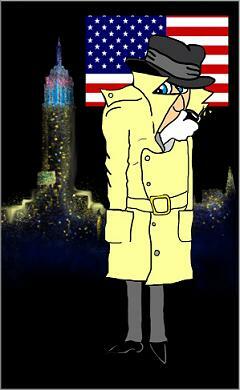 I have 5 VPNs set up for USA, UK, France, Germany, Australia and Canada. I could have more but don’t really need the others currently. Yes of course, the subscription covers all the options. I have the software installed on my PC and laptop, plus VPN connections on my iPad and iPhone. My son also had a US VPN set up so he could access some South Park web site which was US only. All of these were from my subscription. 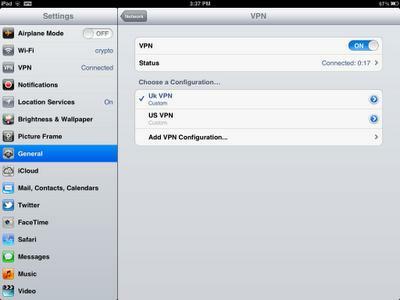 So if I have an account can I use both the software on my PC and create the VPNs on my iPad?